Dear participants of Nano Delivery 2017! Welcome to Osaka, Japan, to participate in Nano Delivery 2017, International Conference and Exhibition on Nanomedicine and Drug Delivery. 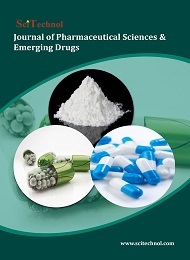 This conference will continue the line of highly successful recent conferences on Pharmaceutics and Drug Delivery taking place all over the globe. 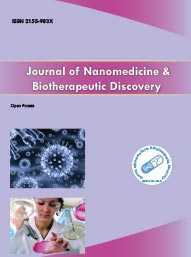 Nano Delivery 2017 should serve as a platform for the interaction between experts in the areas of nanotechnology, nanomedicine, pharmaceutics and drug delivery around the world and aims in sharing some unique research and translational studies on various advances in the field of Nanomedicine and Drug Delivery Technologies. 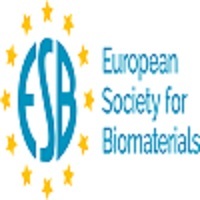 The main theme of the conference is designated as “Challenges and Innovations in Nanomedicine and Drug Delivery Research”, which opens the doors for many researchers, clinicians, and industry representatives working is these exciting areas. 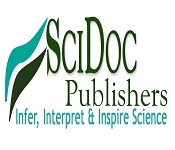 It is expected to bring together both reputable scientists in advanced stages of their career and young researches from many related disciplines. The conference expects many new ideas to emerge at the interfaces between disciplines aiming to solve the most important problems relating to the health and wellbeing of the humanity. The conference will take place in Osaka, one of the main Japanese cities, an important site for pharmaceutical science and industry and just a great place to visit. With our warmest regards, the Organizing Committee of the Nano Delivery wishes you the most productive work and the most pleasant stay in Osaka. 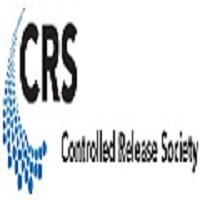 ConferenceSeries Ltd is a renowned organization that organizes highly notable Pharmaceutical Conferences throughout the globe. Currently we are bringing forth “International Conference on Nanomedicine and Drug Delivery” (NanoDelivery 2017) scheduled to be held during May 29-31, 2017 at Osaka, Japan. The conference invites all the participants across the globe to attend and share their insights and convey recent developments in the field of Nanomedicine and Drug Delivery. Who's Coming to Nanodelivery 2017? Nanomaterials Conference, March 30-31, 2017, Madrid, Spain; Medical Nanotechnology Summit May 22-23, 2017, Osaka, International Conference on Pharmaceutics and Drug Delivery, March 13-15, 2017 London, UK; 2nd International Conference on Nanomedicine, Drug Delivery, and Tissue Engineering, April 05-06, 2017, Barcelona, Spain; 19th International Conference on Nanotechnology and Nanomedicine, July 9 - 10, 2017, Prague, Czech Republic; European Nanomedicine Meeting 2017, April 3-4, 2017, London, UK; 19thInternational Conference on Nanotechnology and Nanomedicine, June 21 - 22, 2017, Vienna, Austria; 4thWorld Congress and Expo on Nanotechnology and Materials Science, April 05-07, 2017, Barcelona, Spain. 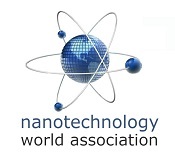 Nano Canadian Society, American Nano Society, American Society for Nanomedicine, Society for Personalized Nanomedicine, Royal Society-NanoTechnology and NanoScience. Tissue Engineering and Regenerative Medicine Conference Aug 20-22, 2017 Baltimore, USA; Stem Cell And Regenerative Medicine Meetings March 20-22, 2017 Berlin, Germany; 8th World Congress on Stem Cell Research March 20-22, 2017 Orlando, USA; 5th International Conference on Cell and Gene Therapy May 19-21, 2016 San Antonio, USA; International Conference on Restorative Medicine October 24-26, 2016 Chicago, USA; International Conference on Molecular Biology October 13-15, 2016 Dubai, UAE; 2nd International Conference on Tissue preservation and Biobanking September12-13, 2016 Philadelphia USA; Conference on Cardiac Development, Regeneration and Repair April 3 – 7, 2016 Snowbird, Utah, USA; The Conference on Stem Cell Development ,May 22-26, 2016 Hillerød, Denmark; Conference on Hematopoietic Stem Cells: June 3-5, 2016 Heidelberg, Germany; ISSCR Pluripotency Conference March 22-24, 2016 Kyoto, Japan , Royal Society-NanoTechnology and NanoScience, International Association of Nanotechnology (IANT), American Association for the Advancement of Science , Nano Canadian Society, American Nano Society, American Society for Nanomedicine, Society for Personalized Nanomedicine. 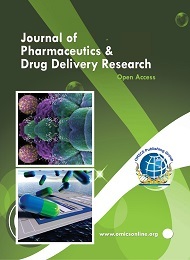 10th Pharmaceutics and Novel Drug Delivery Systems Conference, March 13-15, 2017 London, UK; 6th Annual Conferences on European Pharma Congress, July 10-12, 2017 Madrid, Spain; 3nd International Conference on Biopharmaceutics June 22-23, 2017 Baltimore, USA; 3nd International Conference on Biologic Drugs, June 22-23, 2017 Baltimore, USA; 6rd World Congress on Pharmacology August 7-9, 2017 Paris, France; 2nd International Conference on Parenterals, December 05-07, 2016 Texas, USA; 2nd International Conference on Injectables December 05-07, 2016, Texas, USA; Respiratory Drug Delivery Conference, April 25-28, 2017 France; Drug Delivery Partnership, February 7-9, 2017 Florida USA; 6th International Conference on Drug Formulation, 6th International Conference on Solubility March 20-22, 2017 Philadelphia, USA, 6th International Conference on Bioavailability, March 20-22, 2017 Philadelphia, USA; Congress on Innovation in Drug Delivery (APGI), Controlled Release Society (CRS), International Society for Aerosols in Medicine (ISAM), The Pharmaceutical and Healthcare Sciences Society (PHSS), Nano Canadian Society, American Nano Society, American Society for Nanomedicine, Society for Personalized Nanomedicine. 10th Pharmaceutics and Novel Drug Delivery Systems Conference, March 13-15, 2017 London, UK; 6th Annual Conferences on European Pharma Congress, July 10-12, 2017 Madrid, Spain; 3rd International Conference on Biopharmaceutics June 22-23, 2017 Baltimore, USA; 3rd International Conference on Biologic Drugs, June 22-23, 2017 Baltimore, USA; 6rd World Congress on Pharmacology August 7-9, 2017 Paris, France; 2nd International Conference on Parenterals, December 05-07, 2016 Texas, USA; 2nd International Conference on Injectables December 05-07, 2016, Texas, USA; Respiratory Drug Delivery Conference, April 25-28, 2017 France; Drug Delivery Partnership, February 7-9, 2017 Florida USA; 6th International Conference on Drug Formulation, 6th International Conference on Solubility March 20-22, 2017 Philadelphia, USA, 6th International Conference on Bioavailability, March 20-22, 2017 Philadelphia, USA; Congress on Innovation in Drug Delivery (APGI), Controlled Release Society (CRS), International Society for Aerosols in Medicine (ISAM), The Pharmaceutical and Healthcare Sciences Society (PHSS), Nano Canadian Society, American Nano Society, American Society for Nanomedicine, Society for Personalized Nanomedicine. 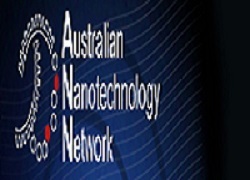 20th International Conference on Nanoscience, Dec 19-20, 2017 Osaka, Japan 11th International Conference on Molecular Nanotechnology, October 20-22, 2016 Rome, Italy, UK; International Conference on Nano medicine, July 24-25, 2017 Melbourne, Australia; Conference on Nanotechnology in Health Care , July 24-25, 2017 Melbourne, Australia; 3rd International Conference on Biopharmaceutics June 22-23, 2017 Baltimore, USA; 3rd International Conference on Biologic Drugs, June 22-23, 2017 Baltimore, USA; 6rd World Congress on Pharmacology August 7-9, 2017 Paris, France; 2nd International Conference on Parenterals, December 05-07, 2016 Texas, USA; 2nd International Conference on Injectables December 05-07, 2016, Texas, USA; Respiratory Drug Delivery Conference, April 25-28, 2017 France; Drug Delivery Partnership, February 7-9, 2017 Florida USA; 6th International Conference on Drug Formulation, 6th International Conference on Solubility March 20-22, 2017 Philadelphia, USA, 6th International Conference on Bioavailability, March 20-22, 2017 Philadelphia, USA; Congress on Innovation in Drug Delivery (APGI), Controlled Release Society (CRS), International Society for Aerosols in Medicine (ISAM), The Pharmaceutical and Healthcare Sciences Society (PHSS), Nano Canadian Society, American Nano Society, American Society for Nanomedicine, Society for Personalized Nanomedicine. International Conference on Pharma Marketing Conference, November 17-19, 2016 Alicante, Spain; 4th Annual conferences on European Pharma Congress, June 13-15, 2016 Berlin, Germany; 2nd International Conference on Biologic Drugs, September 15-17, 2016 San Antonio, USA; 3rd World Congress on Pharmacology August 08-10, 2016 Birmingham, UK; 2nd International Conference on Parenterals, December 05-07, 2016 Dallas, Texas, USA; 2nd International Conference on Injectables December 05-07, 2016 Dallas, Texas, USA; Respiratory Drug Delivery Conference, April 25-28, 2017 France; Drug Delivery Partnership, February 7-9, 2017 Florida USA; 6th International Conference on Drug Formulation, 6th International Conference on Solubility March 20-22, 2017 Philadelphia, USA, 6th International Conference on Bioavailability, March 20-22, 2017 Philadelphia, USA; Congress on Innovation in Drug Delivery (APGI), Controlled Release Society (CRS), International Society for Aerosols in Medicine (ISAM), The Pharmaceutical and Healthcare Sciences Society (PHSS), Nano Canadian Society, American Nano Society, American Society for Nanomedicine, Society for Personalized Nanomedicine. 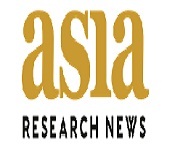 However, the Asia-Pacific region is expected to grow at a faster CAGR owing to presence of high unmet healthcare needs, research collaborations and increase in nanomedicine research funding in emerging economies such as Japan, China, India and other economies in the region. 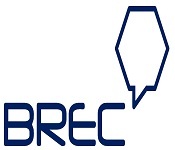 Japan is expected to surpass the United States in terms of nanotechnology funding in the near future, which indicates the growth offered by this region.This conference seeks to showcase work in the area of Nanomedicine, Drug Delivery Systems, and nanotechnology, japan nanotechnology, Nanobiothechnology, particularly related to drug delivery. Nano Delivery 2017 is an emerging field of engineering and life sciences that promises to revolutionize medicine and medical technology. 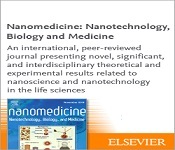 There are numerous applications of nanomedicine and nanotechnology in medicinal diagnostics. 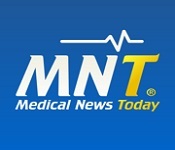 These include improved imagining of the human (or any) body and detecting tumors that are only a few cells in size. 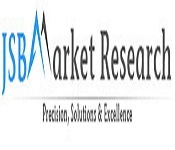 There is no market information available on the size of Japan’s nanomedicine market published by any of the large Japanese market research companies. Table 2 below tries to estimate the market size. 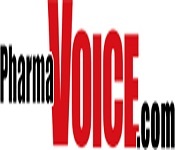 The global nanomedicine market was estimated to be about 5 percent of the global pharmaceutical market in 2010 and 2011. In case of Japan, this ratio is much lower compared to the global nanomedicine market. 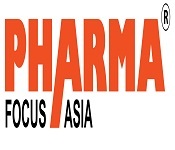 A rough estimate indicates that the market size was approximately 1-2 percent of the Japanese pharmaceutical market in 2011-2012, or roughly between US$1 billion – US$2 billion. 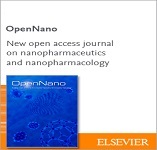 The drug lag of imported nanopharmaceuticals (explained in section 3.5.) is one cause of this. 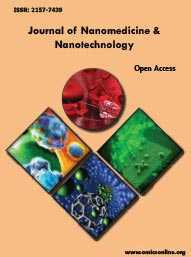 Nanomedicines have not been defined in Japan and are regulated within the general framework of the Pharmaceutical Affairs Law (PAL) on a product-by-product basis (20). As there is no specific definition for drug and device (nanocarrier) combinations, they are regulated as drugs or medical devices according to their main function or purpose (20). Pharmaceuticals are classified as nanomedicine by their sizes, i.e. materials in the submicron range.Information on marketed nanopharmaceuticals in Japan comes from various sources (21) including “Current Initiatives in Japan for Nanomedicines”, Kumiko Sakai-Kato, Toru Kawanishi, 2011, National Institute of Health Sciences (NIHS) and Ministry of Health, Labour and Welfare (MHLW) (22). All manufacturing and marketing applications in Japan for drugs and devices are reviewed by the Pharmaceutical and Medical Devices Agency (PMDA) (83). All applications are thoroughly reviewed before PMDA submits an approval recommendation to the Ministry of Health, Labour and Welfare (MHLW).